Read stories from some of our apprentices about their experiences in the work place. New CoTrain apprentice, Sam Lemon reflects on his first five months of working on the Fareham Innovation Project with Morgan Sindall, a leading construction and regeneration business. ‘It was a lot to take in at first, but I’m really enjoying getting involved in what is being created and built, which pushes me on further. The support has really developed my confidence. 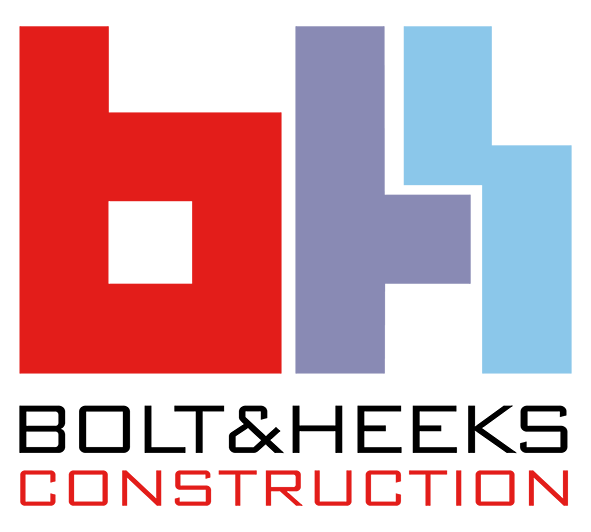 I’ve been given the opportunity to be involved with a range of tasks including, site diary management, checking measurements and data, daily activity briefings, site inductions, deliveries, fire alarm inspections and snagging. Morgan Sindall have provided site specific training and Sam benefits from regular monitoring and support from CoTrain, CITB and his site supervisor, Mike Day at Morgan Sindall. Mike commented ‘CoTrain provide a good opportunity for new apprentices to get into the industry. Sam has picked up the essential elements of the project quickly and I look forward to him progressing his apprenticeship with us’. An aspiring young site manager is celebrating after his hard work and dedication saw him clinch a job with a major construction company. 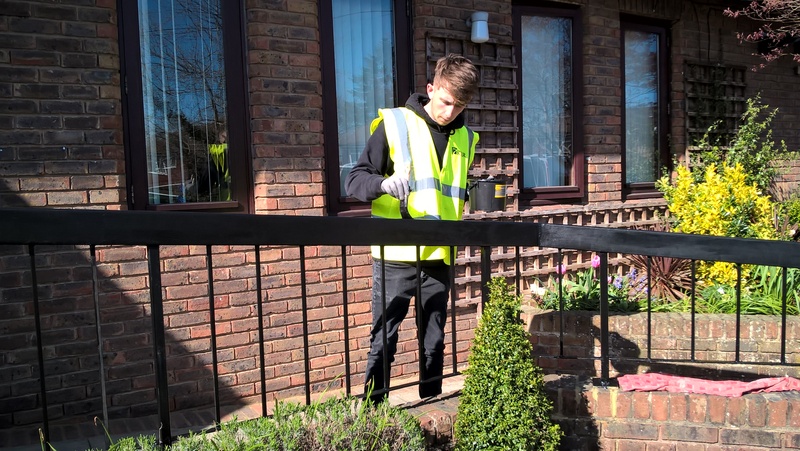 Callum Summers began working with Midas Group two years ago after he enrolled on an apprenticeship scheme with CoTrain, a CITB Shared Apprenticeship Scheme. Working hard, while gaining vital on-site experience and skills as an apprentice site manager, Callum was repaid for his efforts when Midas offered him a permanent role with exciting career opportunities. The 20-year-old was working and studying towards a Sports BTEC qualification when he realised that he needed a change in career path. Researching apprenticeships, he came across CoTrain, a construction industry-based partnership aimed at boosting the number of young people completing apprenticeships across the South East. As part of his role with Midas, one of the UK's largest independent construction and property services providers, Callum started working on a care home development in Christchurch, Dorset with ambitions to become a site manager. As well as his on-the-job experience, Callum enjoyed studying alongside work, learning everything from Health and Safety to sustainability and building technology. 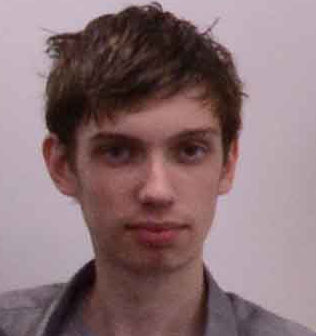 “Midas gave me the opportunity to learn and develop,” said Callum from Southampton. 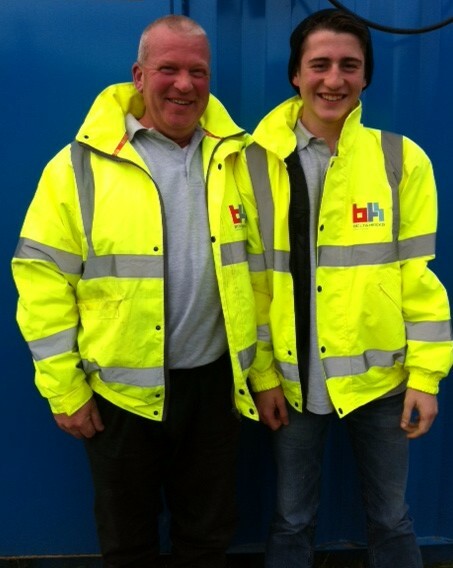 And thanks to his hard work and dedication, Callum completed his apprenticeship and was offered a job with Midas. Now working on a retirement village scheme in Southampton, Callum hopes to continue studying alongside work, with Midas developing a structured plan for the aspiring site manager. Michelle Cole, Group Community Engagement Manager for Midas Group, said: “We are so pleased to have offered Callum a job with Midas following the successful completion of his CoTrain apprenticeship. He has worked extremely hard and shown great dedication and passion for learning about the trade. My name is James White, I am 20 years old and I am currently completing a Carpentry apprenticeship at Francis Construction. I have been helping my dad on construction sites all through my teenage years, which initially made me interested in the building trade. Throughout my time at school, I was really passionate about design and technology and woodwork, which made me choose Carpentry as the trade I wanted to specialise in. Since starting at Francis Construction, I have been encouraged to get stuck in straight away, and am always busy with different projects and tasks to help around the site. I am constantly meeting and working with new people, which means I have learned so much already, and have received lots of support from senior members of the team. The thing I most enjoy about my apprenticeship is being able to get a well-rounded knowledge of the role that Carpenters play on site, and being given the responsibility to carry out tasks on my own, which has helped me grow my own confidence. Being on site every day has helped me a lot in terms of learning from others around me and getting myself into a working routine, which I think are really valuable benefits. In ten years, I hope to be a senior member within a team of Carpenters, and be able to share my own knowledge with younger colleagues who are learning for the first time. I would tell others to make sure that they work hard and listen to those who give their time teaching you how to be a Carpenter. My name is Kieron Howlett and I’m 19 years old, I joined BAM Construct UK through CoTrain and started my first day on site on the 26th September 2016. I am employed as a Construction Technician, which specialises in management. It was an easy process from the point of sitting at home working part time, to then being on an active construction site learning the ins and outs of construction by a great team. Currently, I am based on a project called ‘Acland Project’ which is a new student accommodation for Keble College. Before I started my apprenticeship, I was working as a General assistant at Sainsbury’s, whilst studying Art & Design in college. I moved to an apprenticeship in Construction, as I’ve always wanted my career to be based on constructing buildings, and being part of a good team. For a long time have been interested in this apprenticeship for two reasons, one being that it provides me with a great opportunity to kick start my chosen career, and the other being that I’m working whilst learning. Every day on site is a new challenge waiting for myself to obtain, I’m also learning something new on a daily basis, by asking questions and being exposed to various aspects of construction. I have been given many important responsibilities that I do daily such as checking the boundary of site and reporting my findings on a Boundary Inspection Report. Other tasks I have been given are recording weather, taking progress photos, carrying out Safe-Starts briefing to our Sub-contractors & Workforce, checking site access routes, planning/inspecting fire points and updating its plan and report. Being given different tasks and responsibilities makes me feel like a member of the team, and that what I am doing is important. The key point for myself is to learn what others around me on site have already learned. Through this apprenticeship, my knowledge of construction has increased massively. Before I started, I thought a few bricks would be laid and all of a sudden you would have a building, how wrong was I! A skill I have developed and improved on massively is communication, and the different forms of it. There are many types of communication in construction to which I have learned, there’s verbal + written, written record keeping, written public relations, & verbal + written H&S instruction to site workers. My role is construction management, so communication is important. Without communication there wouldn’t be a project! One of the biggest challenges for me on site, and what I’m still improving on now is understanding everything that happens on a busy construction site, such as Piling, Ground Works, and even the construction itself. It has been a brilliant experience so far, I have been introduced to a friendly, professional team of people who have played a huge role on my education. The opportunity I have been given to work on this site has been one of the best choices I have made in my life. It’s a career I enjoy, and what I want to progress in all throughout my career. Hi, I'm Matthew Shepherd and I have been doing my 2-year Apprenticeship in Carpentry and Joinery with Beard Construction to which I am now moving onto the Site Management side of things. During my 2 Years as an Apprentice I have grown as a person, developing not only the practical skills that I need to be a skilled carpenter but also the social and personal skills as well as being more confident in myself and my abilities. I have also got the qualifications to go along with it, NVQ Level 3 in Carpentry and Joinery and a Level 3 Diploma in Carpentry and Joinery. Now a qualified Carpenter I want to progress further and want to seek more challenging and higher roles in the Construction Industry. The company that I have been working with; Beard, have offered me the opportunity to train as a Construction Site Manager which I have accepted and going to give a go and see what I make of it. This allows me to take on an exciting and challenging opportunity to develop myself further with a great company and to take on a new and exciting role. 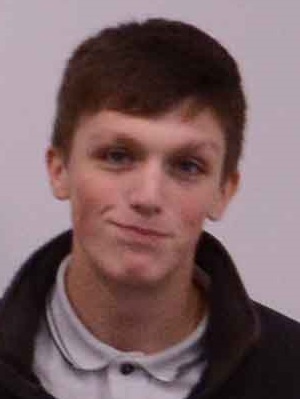 I'm Thomas Smith. I'm 19-years-old and I have always been interested in construction and the enjoyment that comes from it. I've been working for Berkeley Homes for 10 months now and I am enjoying it a lot. My apprenticeship is in the site management side of things which involves a whole range of responsibilities but mostly focuses on the supervision and management of the construction trades on site. My background involved working as a part-time landscaper and as a part-time shop assistant. During both different roles, I learned a lot key skills from the essential people skills needed to have a good working relationship to the personal rewards of hard work and a hard day’s labour. I've been interested in construction my entire life with family members within the industry and a general interest in the process from start to finish. I'm currently working on the Warfield site for Berkeley Homes. The project includes 650+ new homes and flats, a school and a care home as well as improvements to the roads. The house types range from two bed to five bed and a range of apartment sizes. There's so much diversity so the learning opportunities and experience I'm surrounded by is brilliant. The range of skills I've picked up and built upon is huge. The days are so diverse I could be fitting window sashes one day and making good another, it's brilliant! My main responsibilities now are finalising aspects of the plots. I work under the support of a team of site managers with brilliant experience and skills which never fail to keep me learning and progressing. I manage the trades and make sure their work is completed on time and to high standard. The days are hard work but can be very rewarding. My apprenticeship is helping me develop many personal skills. The Management skills are so important within this career path, and with guidance given from my employer and the site management team I've been able to develop a good relationship with everyone on the site. A good working relationship with others is key on site as you are seeing these people five days a week so keeping them sweet is handy when you’re in a tight spot. Time-management with my work load has been a challenge, but then everything worth doing is. My long-term goals are to work my way up in the company and take on more and more responsibility. I've loved every minute so far and hope to keep learning more and more as I'm often reminded you never stop learning in this game. I am a second year CoTrain apprentice on placement with Willmott Dixon Cobham where I am training to become a Build Manager. The first 15 months of my training has been spent on a £16.8m project called Gatwick Diamond. I began having no knowledge of construction whatsoever so it felt like an even bigger achievement to win an award at the end of my first year when Willmott Dixon won the Apprenticeship Initiative category at Constructing Excellence London and South East event. Some of my daily tasks have included completing the diary to state which trades are on site, what work they’re doing and how many people they have. This task required me to speak to operatives and supervisors which helped to increase my confidence. Each week on a Tuesday, I carry out an inspection to check all fire points are in the correct position, with fire exit plans in place and to check the pressure of the fire extinguishers. I also have had to review method statements and send back to make changes before we would accept them. I am also in charge of ordering stationery, water and any little bits needed from onsite-support. Progress photos of the project need to be taken as the site develops and I am required to label the on-site location where work was done; and also to learn the gridlines of our project. One of my other responsibilities is to use Buzzsaw, a programme for uploading new drawings for ourselves and subcontractors. Subconsciously when looking at different plans, I have begun to know what things are and how they should look. Recently, I attended a technical workshop for our Siphonic drainage system as I have to write Health & Safety reports; and this is on-going, always looking for the safest way around site and making sure and near misses can be avoided. Towards the end of the project I was in charge of the carpentry and drylining package along with a colleague, measuring door openings and snag lists. The next step for me, will be to continue improving as a trainee build manager and to apply for the Willmott Dixon management trainee programme ready for when I finish my apprenticeship with them. In the meantime, I will begin my next project; and hopefully be given the opportunity to run a package myself, with some guidance from colleagues of course. I spent a week at St Catherine's Hospice doing charity work with Kier and Drivepoint to undertake some general maintenance and making good. I really enjoyed my experience and being on the project from the start to the finish was a bonus because I got to see how the job looked at the start compared to how it looked at the end. On the first day we began the prepping of the rails by rubbing them down and we also jet washed all the front steps and all around the back to give it a clean fresh look. Day 2 we applied the first coat to all the hand rails and on day 3 we applied the second coat and also repainted the steps, which when completed gave a new bright look to the front of the hospice. Day 4 we started the painting on the summer house out the back, which was looking less than healthy and by the end of the week we had managed to get that finished, along with the smoking shelter and both looked fresh and ready for people to use and enjoy again. I got a great sense of satisfaction doing this charity work with Kier, because you know the work that you have put in has really made a difference for the people who work there and for those who are cared for at St Catherine’s. I believe this experience has added value to my apprenticeship training because I got to be involved with work that is not available on the site I am working on at this moment in time. Andy Plail at Kier comments “We are very happy to have James on board and it is refreshing to see a young person who is willing to put the work in. James is well thought of and already is proving to be an asset to the team”. James has been a CoTrain apprentice since April 2016 and was recruited as part of the new SCF (Southern Construction Framework) requirements for 2016/17. His training is hosted by Kier in Crawley. "I was new to the industry when I joined CoTrain and didn’t have a lot of knowledge of what everyone does on site or how things are built. As I progressed through my apprenticeship, first working for Geoffrey Osborne’s and then Morgan Sindall, I began to understand the basic nature of a building and what it takes to bring it all together. Joining Galliford Try to complete the final leg of my training as an apprentice was very different and I had to learn to work independently as well as assisting in certain aspects of the project. My duties included fire inspections, updating the COSHH folder, progress photos, keeping a record of daily works, daily diary and also I had to make sure that the monthly health and safety folder was completed ready for the safety visit. I learned to read drawings and was also taught the basics of completing a site level survey which I had not done before. At the end of my two year apprenticeship I was told I could interview with main contractors for their Management Trainee programme and go on to study at University. As I was already with Galliford Try and learning a lot from working with them, it made sense to apply to continue with them. Being a Management Trainee and at University now instead of college has given me a greater sense of responsibility. I’m now running my own packages such as fire stopping and being able to apply what I have learnt from my apprenticeship, in my own way and still continuously learning on site. University has given me a new aspect to my training as it is more about quality of work, showing my understanding of the processes involved and how I get to an end result. I am really enjoying the next stage in my career and I can thank the various professionals I have worked with during the first two years of my training, for showing me what it means to be a good site manager." Since April 2016 I have been on placement with Mace, a British construction company. As main contractor, we have been set the task to deliver the £140million redevelopment of Bracknell town centre. In the project there are 8 extremely different buildings, including steel frame multi-storey retail units, precast concrete car-park, an RC structure and adapting the lower levels of an 8 story building. During my 9 months on site, I have experienced a great deal of work, and have had the pleasure of watching and participating in the work progressing on site. Since being on site, I have managed several aspects of work including demolition, ground works, foundation works, steel erection, precast erection, fit-out, all the way up to the handover. The project is set to finish in May and the shopping centre will be open to the public in September 2017. As an apprentice, I feel like I have learned a great deal from everyone onsite, from the site labourers all the way up to the project directors. I feel having a hands on education is the best way to go, especially in such a hands on career. I can learn more onsite by working with professionals - some with decades of experience, than I could ever do by solely working in a classroom. I really enjoy this apprenticeship and would recommend it to anyone looking to get into the industry! We spoke to a few of our admin apprentices about their placements and to their Hosts to find out what contribution their apprentice is making to their organisations. Frank - Commercial Administrator with Roofline Portsmouth. Amy – Admin Support for Community Engagement team at Willmott Dixon Construction, Cobham. "I worked in retail before starting this apprenticeship and hadn’t really thought about working in construction until someone came to my 6th Form College to talk about the different jobs available. I didn’t realise there was so much to it. I thought it was all heavy lifting and working with tools. In my new job I look after ‘Buzzsaw’ which is the filing system we use to document the drawings and plans. I am looking after the Construction side of BREEAM, organising BREAM meetings and sometimes organise refreshments for everybody. I will compare delivery notes against orders and invoices, to make sure we are paying the correct amount and receive the correct goods. I am also getting some experience of working on the reception. Once I’ve passed my CSCS test I can get out on site which will help me to find out more about other job roles out on site. This will help me decide which route to take when I’ve finished this Level 2 apprenticeship." 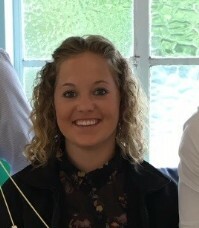 Katie Hayes, Community Liaison Officer comments “In the short time that Danica has been with us she has shown a key interest and got involved with so many tasks and shows a willingness to constantly learn. Danica is resilient and adaptable which are key values in this industry. Danica is currently studying for her CSCS test which means she will be able to go out on site – this will undoubtedly expand her knowledge even further. Danica has a prosperous career ahead of her and we are glad she is part of our growing team of shared apprentices." “I am gaining that all important employment experience that you don’t get on a full-time college course. I hadn’t really considered a career in construction because I thought it was all practical work out on site. This apprenticeship is helping me to develop as a professional, as I can see all aspects of the business and work with people of all sorts and at all levels." “I was working in hospitality for a wedding venue before joining Roofline and decided to apply for an admin based role as I enjoyed the thought of learning about all aspects of the business. The types of work I do at Roofline is varied. I deal with incoming enquiries and log them on a spreadsheet, produce purchase orders and reservation orders, get them signed off and sent out along with other basic admin tasks. I’ve also started to get involved in social media and digital marketing for the business where I have been able to use what I had learned in college prior to joining Roofline. Now I’ve completed my CSCS test I can begin to get more exposure to the site side of the things which is something I’m interested in doing as I will get a better understanding of what goes on and the chance to meet new people. Once I’ve completed this level 2 apprenticeship I would love to go into full time employment with Roofline. "Before starting my apprenticeship I worked in part-time in retail while at college 3 days a week studying for a personal training qualification. This apprenticeship interested me as it is a new challenge, working with the community and in the construction industry. Since joining Willmott Dixon, I have been involved in sustainability reviews, BOB Legacy, Culture inductions, team meetings, meeting with universities and colleges; and I’ve even had the chance to go to HMP Elmley which was a great experience. During meetings I take minutes, which helps me to complete one of my NVQ units and recently, I covered on reception which is a good way to get to know people around the business. I have been doing some short departmental visits and this gave me the chance to see what admin assistance I can offer them. I go out on site too so I can see how the buildings develop. I was able to join the Customer Care team on their Road Test at RMHC Lambeth site which I really enjoyed. Richard Pickett, Head of Social Impact, comments, “Amy has joined the Social Impact Team with great enthusiasm. An apprenticeship is one way to commence your career at Willmott Dixon. With so many different roles we have opportunities available which can embrace a number of varying skills and talents. As Amy progresses through her apprenticeship, we are already starting to talk about her future career at Willmott Dixon. At monthly 1-2-1s we sit down with Amy to review her progress and plan for the future. (CoTrain apprentice Technician with Mace) "For as long as I can remember my dream has been to play rugby at the highest standard possible. 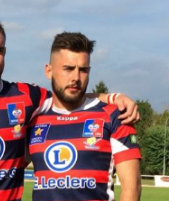 Last year I was playing semi-professional rugby in France, a small village two hours south of Toulouse called Villefranche. From this experience and exposure to the world I learned a great deal about m yself and the direction I wanted my life to go. When I returned to England at the end of the season, I was negotiating contracts for the following year with a few clubs and during this period I had a lot of time to think about my future. From this time I decided that rugby, as much as it was my dream, was not going to be a sustainable future for the life goals I have set myself. My interests took me to look at the construction industry to which I gained an interview with Mace construction and eight months on from that interview, I am now a Trainee construction manager for one of the biggest construction companies in England. Combining education and onsite experience. I have really enjoyed the structure of my training and development with getting the onsite experience. With the choices I have made changing careers from rugby to construction I really think I have made a great choice for my future and development." Ben Young is 23 years old and has been a CoTrain apprentice Technician since September 2015 when he was recruited as part of the SCF requirements. His training is being hosted by Mace, on their £30m Amenties and Bioesculator project at Oxford University's Churchill campus. Along with my apprentice colleagues, we attended a careers event at a secondary school in Guildford. The young people that we spoke to ranged between ages 14 and 18 years, as we had also spoken to Sixth Form students. The types of thing we talked to them about was about construction and Willmott Dixon as a whole and how it is completely different to what most people think about construction. I spoke to quite a few girls who had the same image of construction as I did before I started working for Willmott Dixon - that it would just be building, being on site with your hard hat and boots, but I think I managed to change a few of their minds. I spoke about the 200 + roles that a company like Willmott has to offer. We also spoke to them about being an apprentice and the variety of work we get involved with while training. We had a lot of interest and it would be great to see more females join the industry. Amy is a Level 2 Business Admin apprentice on placement with Willmott Dixon in Cobham where she is supporting the Community Engagement team. Currently I am working with the Galliford Try Pre-Construction team on a variety of projects, but the main project is a refurbishment in Slough where a large head office is being turned into a secondary school. As this project is a refurbishment of an existing building, many challenges have arisen such as room locations; for example a large 2 storey sports hall that is being kept in the building and the overall practicality of the building working as a school which has led to a constant game of weighing the pros vs the cons of each change to find the best solution. Often my week contains a lot of meetings both on site and in the office r anging from meeting consultants to explain the work that needs to be done by them, to internal meetings about the program, budget and behind the scenes actions. Also I have done work such as surveying the building to see what items can be kept, producing drawings of the buildings’ current form, helping a variety of consultants perform their tests such as acoustics, M&E and 3D building modellers. One of my favourite meetings is the weekly DUGs (design user group) meeting. This meeting is when the client, architect, contractor and framework representative meet to discuss all of the creative aspects such as the design of the project. I find this meeting the most enjoyable as it is very creative and fun, where anyone can put forward an idea and it will be tested to see if it works. This meeting also has a very nice atmosphere as everyone is on the same page and working to the same goal. I also get to see how the project evolves in design, based upon limitations such as cost, structure and time and how these issues are resolved to give the client what they want. Overall I have found that this apprenticeship has opened my eyes to the amount of background work that goes into a project before it even begins and I look forward to watching this project develop; and seeing if all our hard work and effort pays off to create a spectacular school for the client. Jamie Bobillier is 19 years old and has been a CoTrain apprentice Technician since September 2015. He began his training on placement with Morgan Sindall as an apprentice Bid Manager before joining Galliford Try in December where he is working as a Trainee Pre-Construction Technician. At Kier, the management trainees and apprentices take part in the ENGINUITY Challenge, which provides management and leadership training that is relevant and appropriate for construction professionals worldwide. Using a sophisticated computer simulation, competing teams are given the task of managing a fledgling UK-based Global Construction Business, in a realistic economic climate relevant to the global economy as it is today. “Working with other management trainees in this competition, my role was working in the procurement section along with another team member,” Brandon continues. The competition gives participants the opportunity to experience the challenges that face their corporate management on a daily basis, and pits them against their colleagues and peers in a unique business management experience. "This exercise has helped to build my team working skills as we were relying on each other and learning how to manage the time to participate in the Challenge while being full-time on site at the same time. “We had to liaise with the other departments within our team, bidding for and winning jobs in order to expand our business and presenting a PowerPoint to my MD was quite something! I’ve never done anything like that before and has definitely helped with my professional development. "Overall it was a great team building exercise and participating in this competition, with my trainee colleagues, has improved my skills and confidence as we have had to put what we had learned into action in our everyday jobs." Recently, Galliford Try offered me the opportunity to undertake a three day ‘First Aid at Work’ course, enabling me to become a qualified First Aider. This would give me the necessary practical skills and knowledge, along with the responsibility, to ensure I can provide the site with any means of First Aid when necessary. This was a great opportunity, as the course has enhanced my awareness of the many factors that can jeopardise health and safety, and how to prevent and assist injuries or accidents which may occur. Teneh Hampden is 18 years old and has been a CoTrain apprentice Technician since April 2015, on placement with Galliford Try, who is hosting her apprenticeship on their Reading Schools projects. 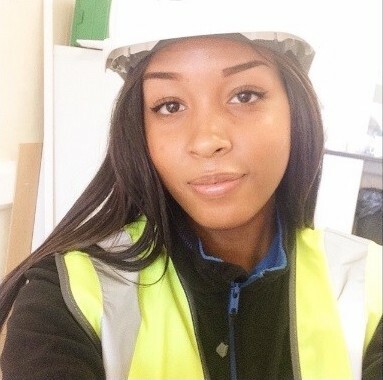 Since joining the Shared Apprenticeship Scheme, Teneh has worked on Alfred Sutton School, Ridgeway and now Church End for GT, where she is training to become an assistant site manager. Jay Arnold is aged 16 years and has been an apprentice Technician with Bolt and Heeks since September 2015 where he is training to become an assistant site manager. “ Bolt and Heeks allowed me to take three weeks out of work for a trip of a lifetime to Tanzania where 16 of us from my scout troop in Epsom were helping to build a school. In Tanzania we got involved with the bricklaying, basic foundations, shuttering and lintels and digging trenches. We also moved materials around the site by hand and made cement. I am happy that I took my CSCS test before this trip as I had never worked on a site before joining Bolt and Heeks and it helped that I am aware of how to move materials and carry things without causing injury. My time in Tanzania has been useful for my career development by showing me the cultural differences and made me appreciate what we have in the UK; it also helped to develop leadership skills and team work. 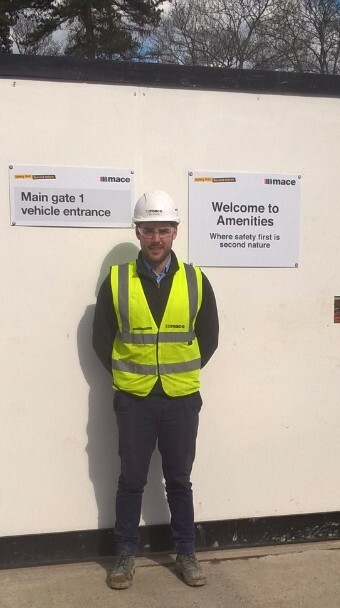 A day in the life of a trainee site manager. Will joined Dawnus just six months ago as an apprentice Technician where he is training to become an assistant to the site management team. He has made an excellent impression so far, so much so in fact, that Dawnus is already exploring the longer term options for Will with the intention of retaining him at the end of his training as a direct employee, all things going well. "When I first arrive at work I prepare paperwork that I need for that day, followed by a walk around site to see what is going on and how we are doing with achieving the targets set. My duties can change from day to day but some of the things I may be doing include: project planning meetings; toolbox talks; procurement meetings and various site based tasks such as finding ways around problems that come up with design and the construction of certain areas that may not work out to the drawings. " What kind of responsibilities do you have? "Health and safety is a very important part of the construction industry so a lot of my day is spent keeping on top of permits and working out the safest and most efficient way to carry out tasks and eliminating risks involved. My favourite task is finding solutions to obstacles that we come across on the construction of the building." "I chose the construction industry because it is something I have always had a keen interest in. The site is always changing which makes no two days the same. I like this as it never gets boring and you can see what you have achieved each week. " How is this apprenticeship training helping you to develop as a professional? "There is more to this job than I thought, some times it can be very demanding but also very rewarding. This has helped me to adapt to the industry and I am always learning new skills. I am happy that I applied to do this apprenticeship and am looking forward to making a career from it. My on-site team Matt, Dave and Martin have been a great support and teaching me a lot. Any questions I have or anything that I need explaining, they always make the time to answer any questions or to teach me new skills."